Inspired by a premade Telstra carrier logo installer for jailbroken phones (courtesy of Kin3tiK on Whirlpool), I decided to take a look and see how far I could get. Turns out if you can get your hands on a carrier bundle, you can throw your own images in. [box color=blue]As of iOS 5.1, it seems you cannot overwrite a carrier bundle with one of the same version. Therefore, these bundles have a higher version number than than the official release. iPad – version 12.5 with tethering enabled. Now once that is finished, reboot your iPhone and you should be good to go. This is great; works very well on my iPhone 4S. Could you make one for vodafone? Maybe just the Vodafone symbol? or the full word “vodafone” instead of “voda au” ? Hey James – have added two different versions for you to choose from. Let me know if they work. Also, i’ve noticed that you don’t have a link to revert back to the old Vodafone/Optus Logos like you do for the Telstra one. Could you put that up as well? Thanks for your hard work. Hi James – I have added original bundles for Optus and Vodafone now. Hey, great to see my small Telstra T Logo being used. Hope People find it useful. i installed it and i get the telstra logo, that’s great. however, the appstore keeps causing the iPhone to reset itself every time i try and open it. i downloaded the normal telstra carrier file and installed it the same way i installed the carrier file with the logo but the carrier logo and the resetting won’t go away! Try rebooting it just ooone more time and see how it goes. didn’t work for me on Windows 7 64bit. Yes, I had this issue also, but solved it the same way you did. This is great! Nice tip! I would love to put my company logo at the top. How do I save an image a an .ipcc? Could you please do one for Optus but substitute the TPG logo in instead. TPG piggybacks on the Optus network and it says YES OPTUS on my iPhone which is really annoying. Could you please make a carrier config for 2degreesmobile.co.nz and skinny.co.nz? Hi Luke. Do you have high res (preferably transparent) copies of the logos that could be used? I can make some up tonight, can you let me know of the sizes? I TRIED COPYING AND PASTING THE LINK INTO WINDOW+R COMMAND AND IT DIDNT WORK. HOW CAN I GET INTO THE SETTINGS TO ALLOW THIS? note that you should type the quotes yourself – the web ‘smart quotes’ are the wrong ones. 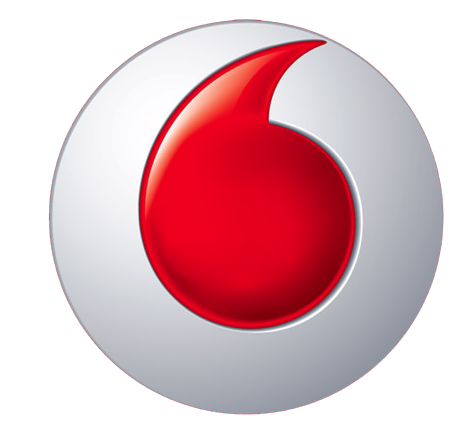 Can you make a Vodafone one using this logo. yes please do that looks awesome. I just tried the Vodafone logo and it is too big and doesn’t fit in the bar, any chance of making it a little smaller? Do you have a graphic to work with? I could probably whip something up later tonight or tomorrow. Any change of redoing the Optus logo for the iOS 5.1 release? Hi Nathan – updated. Please read the blog post for more information. Nice – however I’ve noticed with the stock 12.0 carrier settings bundle on iOS 5.1 on Telstra the 4S is frequently dropping the network and going back to “Searching” – much as it did prior to Telstra releasing an updated settings bundle for 5.0.1. I suspect another updated bundle from Telstra will be forthcoming shortly. I’ve had no issues with the network dropping on my iPhone 4 since upgrading to iOS 5.1. Might be something specific to the 4S. On a side note, I’ve also updated my list of logos on my site. great work once again, thanks. May be a silly question, but are the originals available for download, and can they be restored in the same way? Hi Carl – I’ll try and do this over the next few days. Keep in mind these’ll be a higher version number again than the stock copies that came with your iPhone. Is it not possible to use say, 12.0.0.1 so that even with a 12.0.1 it’ll still be newer? Silly question I know, but in versioning, 12.1 and 12.0.1 are newer than 12.0.0.1. As above, tried this and it seems to work fine. I haven’t tried 1.1.x versions before as none of the official Apple supplied bundles use them. I’ll use them from now on. Possible to make these 12.0.1 so as not to clash with official 12.1 carrier releases down the track, or does it not matter? Thanks guys – I’ve tried this and it seems to work fine. I haven’t tried 1.1.x versions before as none of the official Apple supplied bundles use them. I’ll use them from now on. I see that max is trying to use vodafone without success so they might already be on version 12.1 as well. Installing these on The New iPad will also enable the Personal Hotspot feature! Hi Starbuck – that’s great news. Any chance you could post any screenshots of it in action? Would love to see. I don’t have a new iPad. I’ve tried both the Vodafone .ipcc’s on my iPad 3 and while it enables the hotspot feature (which is awesome), it disables the APN changing function under “Settings, Mobile Data” and the APN set in your ipcc is incorrect for my post-paid iPad plan. I’ve tried upacking the ipcc files and editing the carrier.plist but I’m having no luck getting it to work, any chance of an ipcc with the APN of vfinternet.au? Thanks for a great post Beau. I also tried the Optus ipcc file with my Optus Post-paid mobile broadband sim in a New IPad. Although the Hotspot Menu appeared, I was no longer able to get data because the APN was not correct. For post-paid mobile broadband the pan should be “connectme” instead if “yesinternet”. It would be great if your could create and optus bundle for postpaid mobile-broadband with the correct apn (including for tethering). Gave it a try with optus, but didn’t check the carrier version beforehand. It looked like all was well, rebooted the phone and the old YES OPTUS is still there. Tried another hard refresh still the same. Maybe it’s like Darren where version was already 12.1? I have also just tried the Optus logo, but still getting the old YES OPTUS. I did check the carrier version beforehand and it was definitely 12.0 so not sure why this won’t work? iPhone 4S on Telstra here. Tried the blue logo and no go. Does say my carrier is on 12.1 so like others above I agree I think you’d need to update the files to be 12.1.1 or something like that. If you apply on the iPad 2, the logo appears blown up and clipped. However, if you open up the bundle and halve the sizes of the icon image files, it works perfectly on iPad 2 with iOS 5.1. Australian carriers have already updated the packages to 12.1 in the last few days, I checked and was 12.1 on my iPad 3 already. The hotspot was greyed out. I tried this and it now enables the feature but says to call optus to activate. Can you please update a package to 1.20 for optus and I will try on the IPAD 3 and let you know. Thanks in advance awesome work. Mine did the same, said it was 12.1 but still didn’t get the Telstra logo. I even changed mine to 12.1.1 and reapplied it, which still didn’t give it the logo, just the Telstra text. Do you happen to have European carrier ipcc. T-mobile Hungary for example. No hotspots with new iPad here neither. Would love to try the above method. Carriers have already updated to 12.1 so these no longer work currently. can you provide an instruction how to make such ipcc file for another carriers? I live in Russia and just bought the new iPad 64gb 4G AT&T (GSM) (from USA)… With my local carrier sim-card I have working 3G Internet but there is no Personal Hotspot feature…. Also saw, that a lot of people are looking for solution for Personal hotspot on new iPads with 5.1 and not-jailbroken all over the world…. Please tell the world how to do such files? Thank you for the great time and effort put into this! As the previous poster implied, a lot of people are looking for a solution to enable personal hotspot on the new iPad, and these ipcc files seem to do it. I am currently on a network called “Telenor” in Sweden. Would be great if a custom ipcc file could be generated for my operator, and other international operators, as I know a lot of people would benefit from. Feel free to e-mail me if you require any information from my iPad, maybe a database can be created. Great work first of all, 2 questions. If someone wanted a custom logo for a carrier not listed here, can you make me one? Also if I needed that same ipsw made with a custom prl for that carrier are you able to make it for me? I am willing to pay you for your time if possible. thanks. Are you able to re-post the file as 12.0.1 versions? I opened them up and saw that version.plist still says 12.1 or 12.1.0 – is it safe to change this to 12.0.1 on both sections? Your response seemingly saying you tried it and it works seems to suggest you tried it and it works, but if so, why not change the ipcc files above to reflect that change too? I’m based in the US and I would like to update my iPhones carrier bundle so I can customize my phone to its utmost potential. I have a factory unlocked iPhone 4s (iOS 5.1) and my carrier is not an official carrier in the US. Im on T-mobile. My iPhone is currently on unknown.bundle (as seen in commcenter.plist thru ibackupboot). I don’t want to jailbreak my iPhone. Can anyone help me with this? PLEASE! Any chance of updating the Telstra .ipcc files to the next version 12.2 as Telstra is now on 12.1 and i can’t apply your .ipcc files as they are now. I wish i had a mac! Agree with this…. Can we get Telstra IPCC updated please? Hey Optus worked on my iPhone which is great! But I tried all three Telstra ones on my new iPad “3” and the colour won’t show up on the first 2. The next g one shows colour but the others no. Can you do it for Cellcom IL? ( http://www.cellcom.co.il ). I need it mainly to activate the Hot Spot option on the new IPad . Any news on this being able to allow hotspot feature on iPad 3 with firmware iOS 5.1.1? I really need this feature and feel that apple has falsely advertised the iPad 3 as having this feature but not telling you it is only for 4G and some countries don’t have a compatible network. What happens if you update the firmware when you have used this exploit? Has anyone upgraded to iOS 5.1.1 and had problems that has used the hotspot exploit on the iPad 3? Hello, I’m on Optus and have tried to install the carrier update a few times for the colour logo. I restart my phone and it doesn’t work 🙁 my iPhone says my Optus carrier logo is 12.0 and my software is 5.1.1. Do you have any ideas what I’m doing wrong? There’s a couple of people who have lost the ability to access APN settings (me too!). I fixed this by downloading the iPhone configuration utility, and setting the APN settings within the application. Worked with iPad 3. Has anyone got the official optus ipcc file? I’m Lost here. Do I Need To Download? From your Site or Chris’s Site? I’m Wanting the Telecon XT Bundle LOGO. Is Yours Better or is Chris’s Better to Use? Or are they both the Same? I have a Jailbroken Iphone 3GS Have IOS 5.1.1 And My Carrier is 12.0 under Settings – General About. Does the latest Version of 12.5 Still Work on my Phone? And Will I Lose my Personal Hotspot? Hi Craig. Either bundle from either site is fine. And 12.5 will work fine unless for whatever reason you’ve already got a version 12.5 bundle! When I go Shift Update, the computer is looking for .ipsw file and wont show the ipcc file. Any ideas? Make sure you have set the settings from iTunes from Run (or Terminal on a Mac) first – else iTunes won’t allow you to select an .ipcc file. As mentioned in the article, you need to paste a command in run. Go back to ‘For Windows, open up Run (Winkey+R) and paste the following;’ in the article. where can i get the default factory unlocked IPCC that comes with factory unlocked iPhone 4S. i wish to use the same for the New iPad. Is it possible??? I had read I could use this process to then enable me to use my iPad as a personal hotspot. How do I go about this? Back your iPhone up before doing it, to be safe, but you shouldn’t have any trouble. If it doesn’t work and your phone stops connecting it would be nothing a restore can’t fix. How do you get them for iPhone 3Gs? 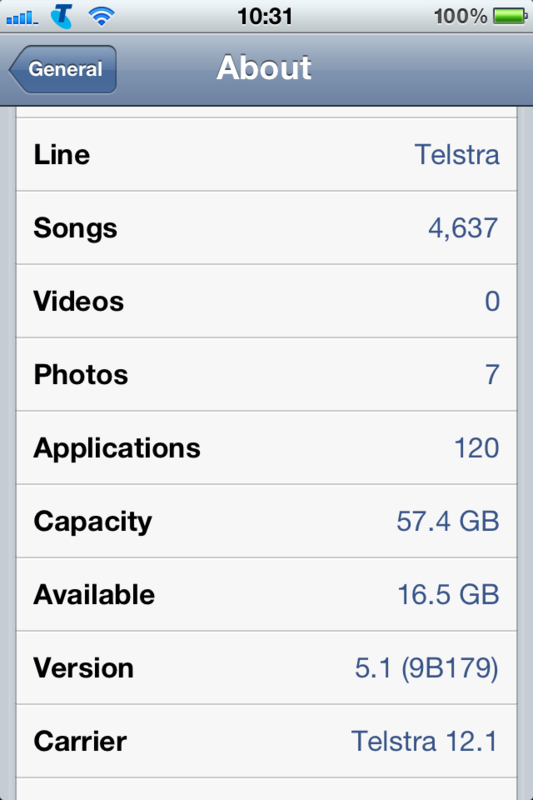 is there one for ios6 on telstra? The .ipcc files seem to be just zip files, so would I be able to piggyback your work to replace the images with blank ones? Or maybe an image of a cell tower or something. This is a good project, but I’d rather use it to remove the corporate logos altogether. I have managed to set up personal hotspot on my iPad only problem that Optus ver 12.5 has got APN default as CONNECT and my plan was on CONNECTCAP but after update new carrier version the function APN has gone, can’t going in to change APN afterward. To solve this problem can u create another Optus carrier ver 12.5 with APN as CONNECTCAP for optus power pack plan please. Is there another version for iOS 7?